We know every family we serve is unique and we strive to make each service a personal tribute to the life that has been lived. We provide a wide variety of choices that will help fulfill a family’s wishes, from the traditional to a personalized service which celebrates a loved one’s hobbies and interests. 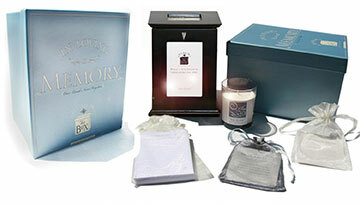 The In Loving Memory Box is a keepsake that gives families a place to keep memories, photos, sentiments, jewelry, trinkets, etc. It is a touchstone of the person’s life that will be a coping tool for grieving loved ones and a legacy piece for future generations. Family can spend time going through the contents when they are ready, be it immediately, weeks–even months after services are complete. They can then continue to visit and add to the keeper, making the experience even richer with the passage of time. It is a beautiful representation of a loved one’s life. We create a family keepsake DVD using your photos, adding scenery and music, which can be played during visitation or service. Video of Remembrance Memories fade over time… what will become of the rich legacy of a life well-lived? Each of us has a story to tell about those we love. This Tribute Option provides your family 10 additional copies of your Video of Remembrance – allows you to save what should not be lost – the stories of a lifetime. Our Certified Funeral Celebrant, will meet with your family at your time of loss – listen to your stories, gather remembrances, and create a unique personal ceremony to honor and celebrate the life of your loved one. 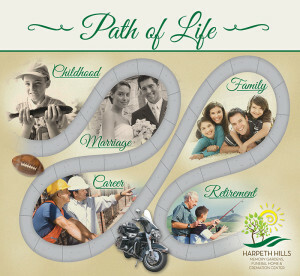 Let us take family and friends back your Path of Life. This service can be used in conjunction with your minister or in place of a minister. This service will provide those who attend a truly memorable experience. 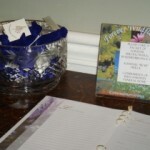 We can provide keepsake wildflower seed packets inside velvet drawstring bags for guests at your visitation or service. This Tribute Option gives visitors something to take away as a remembrance of the service. Planting these beautiful flowers will provide a lasting reminder of your loved one. Our Doves can bring comfort and hope during a sorrowful time. The white dove has been a symbol of our eternal soul since the beginning of time. As your family gathers together and holds a snow white dove at the end of your loved one’s service, we explain the symbolism in a simple, but touching, ceremony. When the dove is released, we release 3 more white doves, symbolizing God’s angels guiding your loved one up and into the heavens. Live music can add a special touch to service. This tribute option provides a personal music selection by our bagpipe player at the graveside. The list goes on and on. Our funeral directors are committed to helping you create a special tribute to your loved one which will honor their life and celebrate their memory. We encourage you to share your ideas, customs and wishes with us. How are our services unique?